After the signing event of a memorandum of understanding (MOU) between three parties namely Nepal Olympic Committee, Athlete Society and Tamura City, they had the first training camp in Japan. Ms, Yurika Nakamura marathon olympian coached three Neapli long distant runners in Tamura city Fukushima Japan for a week. For most of days they had three times of practices a day, early morning, morning, and afternoon. Other than training they participated in following event such as a road race and welcome reception. Nepali athletes – Gopi Chandra Parki, Santosh Bikram Bist and Santoshi Shrestha participated on 37th Tamura Fuji Road Race as guest runners in 10km event held in Tamura City, Fukushima on October 21, 2018. Out of 103 participants, Gopi with 30min 56sec secured first position while with 31min 53sec Santosh stood second. Similarly, Santoshi with 37min 4sec stood first in female category and 6th in overall. 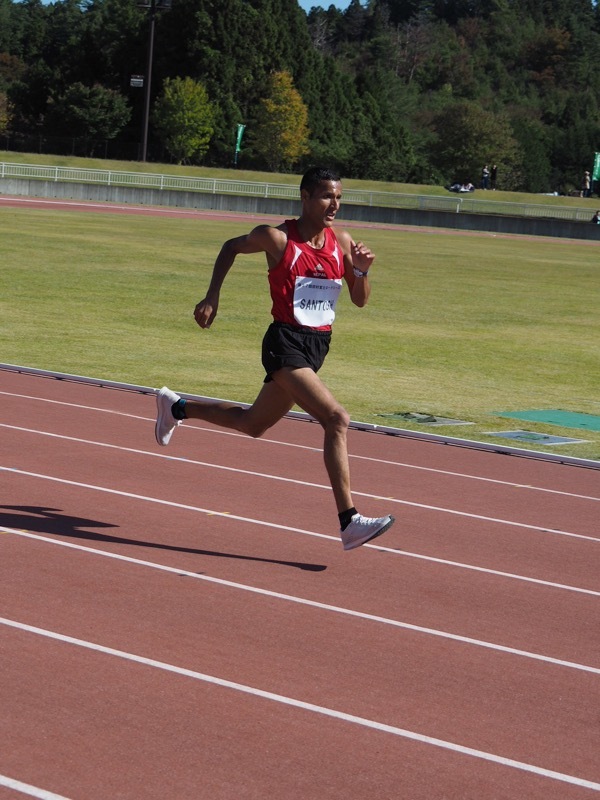 91 males and 12 females competed in the 10km race. Their performance in the road race has depicted the effectiveness of Yurika Nakaura’s training. Mayor Jinichi Honda of Tamura City hosted a welcome reception for Nepal Team at Tatsumiya in Tamura City on October 21, 2018. In his opening remarks, Mayor Honda explained the relationship of Tamura City, NOC and Athlete Society. He highlighted the Tokyo Olympic 2020 Games as the reconstruction Olympic especially for Fukushima. And also wish the reconstruction work to be completed soon from the great earthquake in Nepal in 2015. 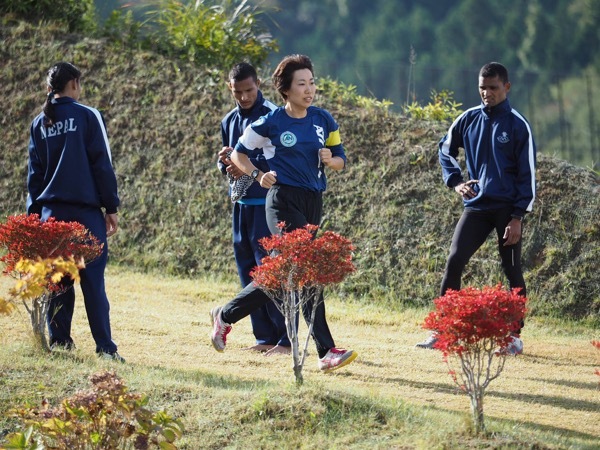 He welcomed the Nepal team and extended best wishes for the training and a wonderful stay in Tamura City. He emphasized on the importance of exchange program including sports and culture as well. He extended the best wishes for Nepali athletes to qualify for the Tokyo Olympic 2020 Games. Executive Member of the NOC Nilendra Raj Shrestha introduced each member of the Nepal Team – coach Raghu Raj Onta, coordinator Sujan Koirala, athletes Gopi Chandra Parki, Santosh Bikram Shrestha and Santoshi Shrestha and expressed gratitude to Mayor Honda for hosting a wonderful reception for the Nepal Team. He praised a surprise visit to the Tamura City office on October 17. 2018 for a memorable welcome. He heartily thanked mayor, deputy mayor Naoyuki Kawagoishi and dedicated staff of Tamura City for a meaningful exchange program and warm hospitality for the Nepal team. He expressed a sincere gratitude to Chairman of Athlete Society Dai Tamesue and Secretary General Soko Aoki for their valuable role in making this project happen. He hoped that with the support and co-operation of the Tamura City, Athlete Society, coach Yurika Nakamura, the Nepali athletes, particularly the marathon runners, will achieve the goal, that is, to qualify the Tokyo Olympic 2020 Games. He further believes that the Nepali marathon runners will not only qualify but also bring the best results in the Olympic 2020. Chairman of Athlete Society Dai Tamesue recalled how the friendship between Sujan Koirala and Soko Aoki connected Athlete Society with the NOC and the relationship between Tamura City and Athlete Society established. He shared that he went to Nepal to hold a clinic on short distance twice. Recognizing his service to Nepalese athletes, the NOC awarded him with a title – ‘Friend of Nepal Sports’. He introduced Yurika Nakamura as the in-charge of the training. 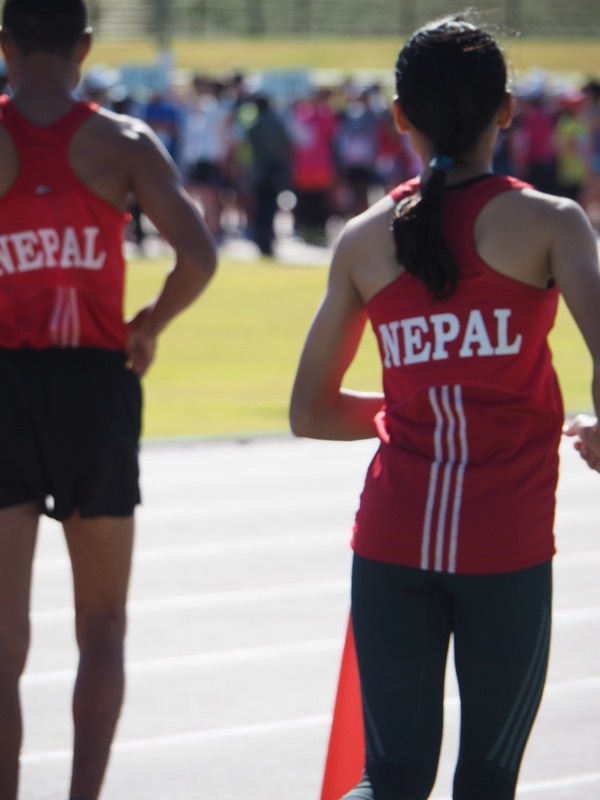 As she has the experience as a marathon runner, he is confident that she is the right person to train the Nepali athletes. The chairperson of city council Hiroshi Owada toast for the long-term relationship among Tamura City, the NOC and the Athlete Society for development of the athletics specially the Nepali marathon. During the reception, centuries old two dances of Tokiwa village were performed. After the formal remarks, the souvenirs were exchanged between Fukushima Prefecture and the Nepal team. Mutsuo Anzai, Director General, Office for Tokyo 2020 related projects in Fukushima handed over a special cup made in Fukushima to each of the Nepali delegate. The deputy mayor of Tamura City Naoyuki Kawagoishi also handed over a souvenir to each member of the Nepal team on behalf of Tamura City. Similarly, on behalf of the Nepal team, Shrestha handed over a token of love to Director General Anzai, Tamesue and coach Nakamura respectively. The staff of Tamura City office, Fukushima Prefecture representatives, Athlete Society representatives, Nepal Team, a few Nepali living in Koriyama city including other distinguished guests were present at the reception.